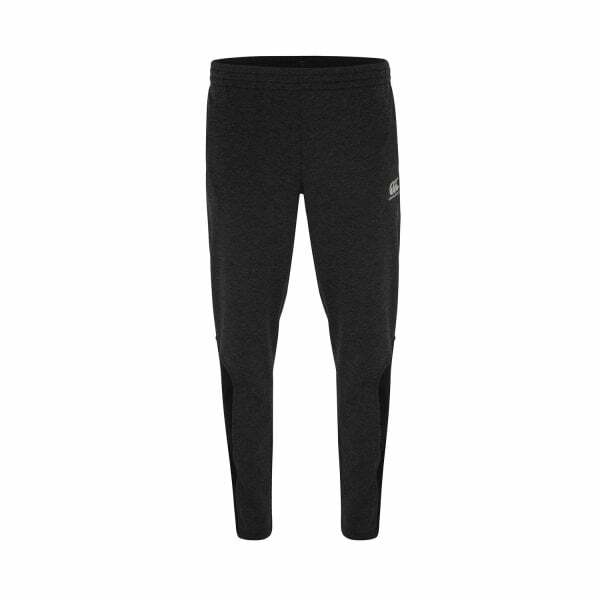 Need a training pant for any conditions? You need our VapoDri Tapered Hybrid Pant. It has double jersey fabric to retain warmth, moisture wicking technology to keep you dry and reflective branding for visibility in low light conditions. Made from a Polyester and Cotton Double Jersey blend, Canterbury’s VapoDri Tapered Hybrid Pant retains heat and provides warmth to the wearer in cold training conditions. The tapered pant also provides a comfortable ergonomic fit, with overlay back yoke and zip opening leg for ease of changing. Reflective Canterbury branding allows for additional visibility in low light conditions and the VapoDri moisture wicking technology wicks sweat away from the fabric to keep you cooler and drier while you train.